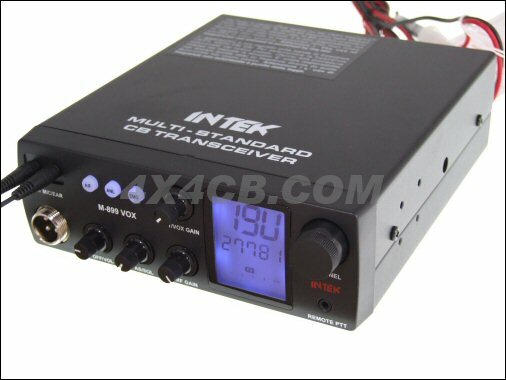 UPDATE 25/07/2016 : The Intek M-899 VOX is now discontinued and is no longer available. The very latest high-quality high-tech CB from Intek, legal in the UK and most of Europe. This mobile CB is unique as it has a VOX (sound activated transmission) circuit built in and comes supplied with a handsfree microphone and remote PTT (press to talk) switch. A real step forward towards "Safer Driving", this CB features a voice activated transmission circuit and comes with earbud/boom speaker microphone as well as the normal hand mic. It all works pretty well too!